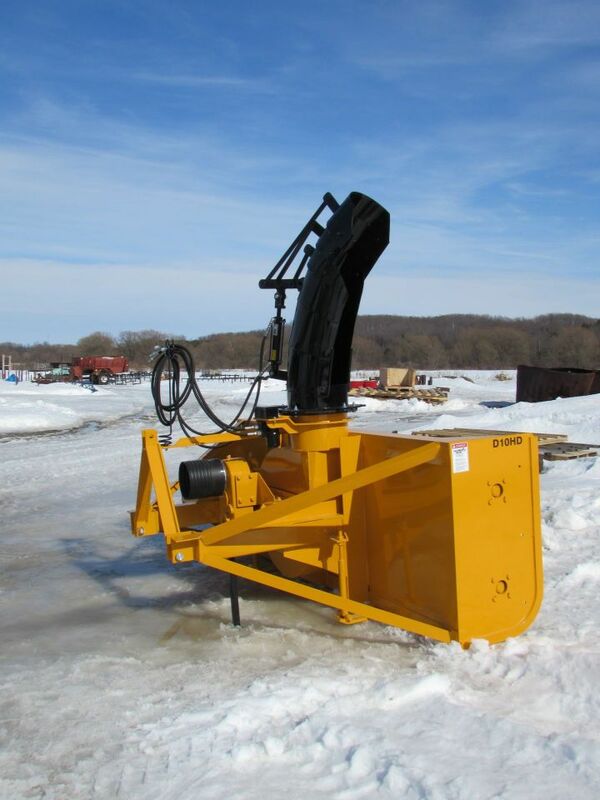 Our renowned double auger snowblowers built heavy duty for contractor use. Equipped standard with the most common features for contractor use. 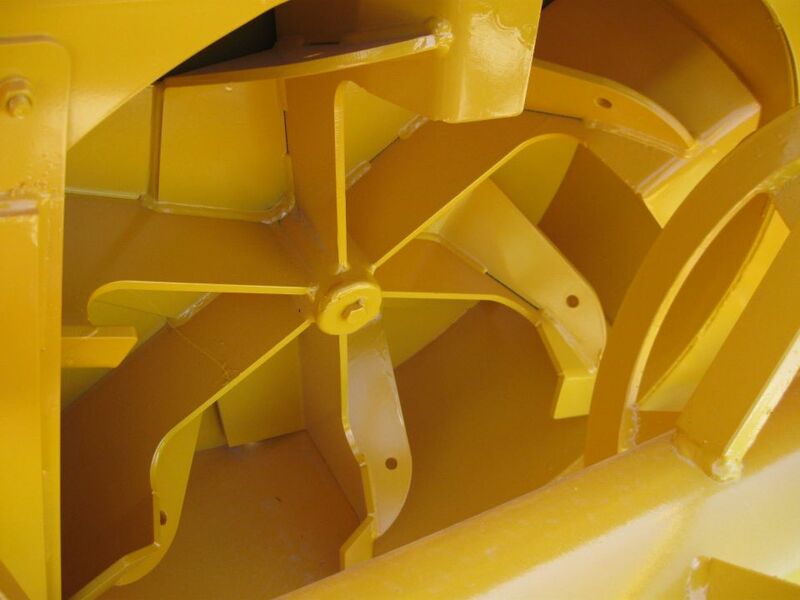 Standard three section spout deflector, skid shoes, heavy reinforced end plates, orbital motor chute rotator, chain guard, heavier chain, heavier auger shafts, bearings and tube, bolt on cutting edge. 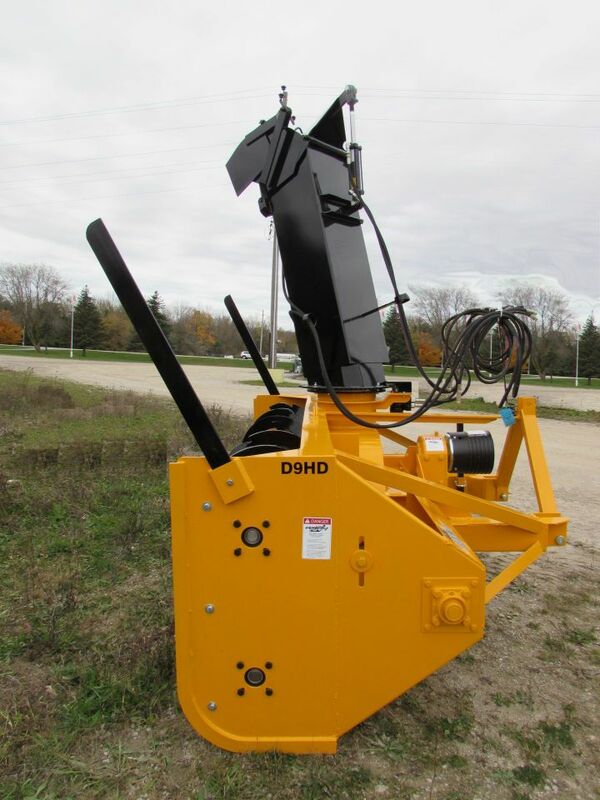 Unless otherwise indicated, all dimensions are in inches with standard equipment installed. Certain features shown may be optional. When you want to cut right down to the surface. Reversible and bolted on for easily replacement. Precise hood rotation with a hydraulic orbital motor and a durable gear drive. For breaking up hard/frozen banks with ease. A fixed position method of cutting back tall banks. An adjustable bank cutter to control the depth of cut. 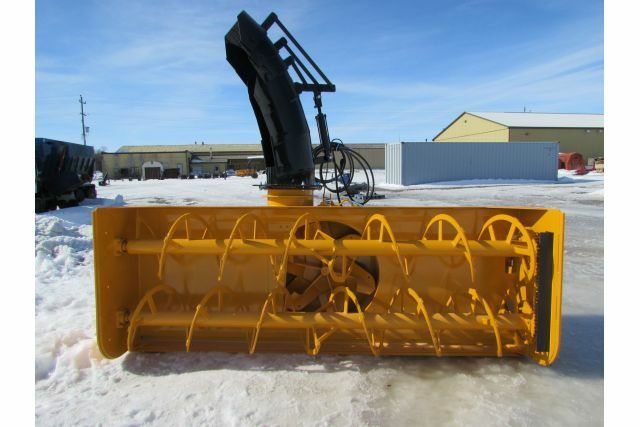 Bill has been using his snowblower for more than 30 years and has now passed it on to his son-in-law, who expects it to last for decades more. 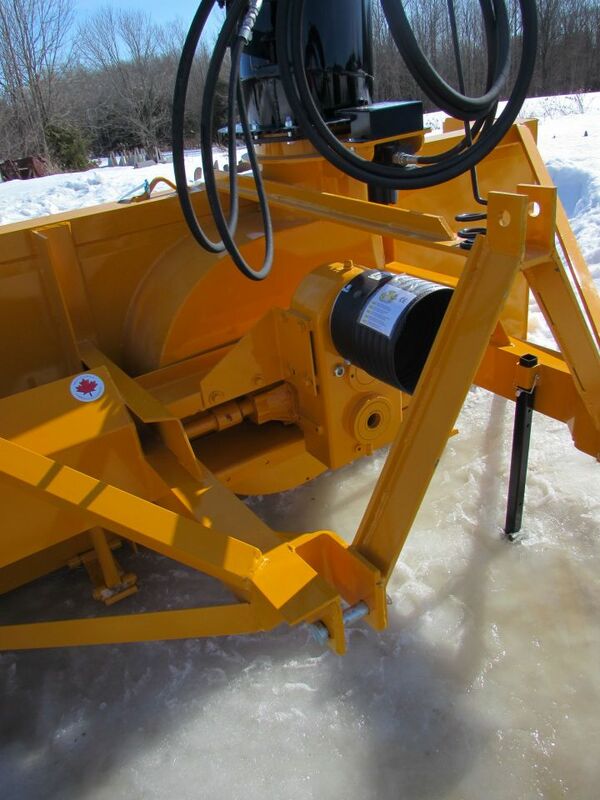 “It’s nice to still have Canadian made equipment available that can pass from one generation to the next”. Tyson is still using a blower originally built in 1983. 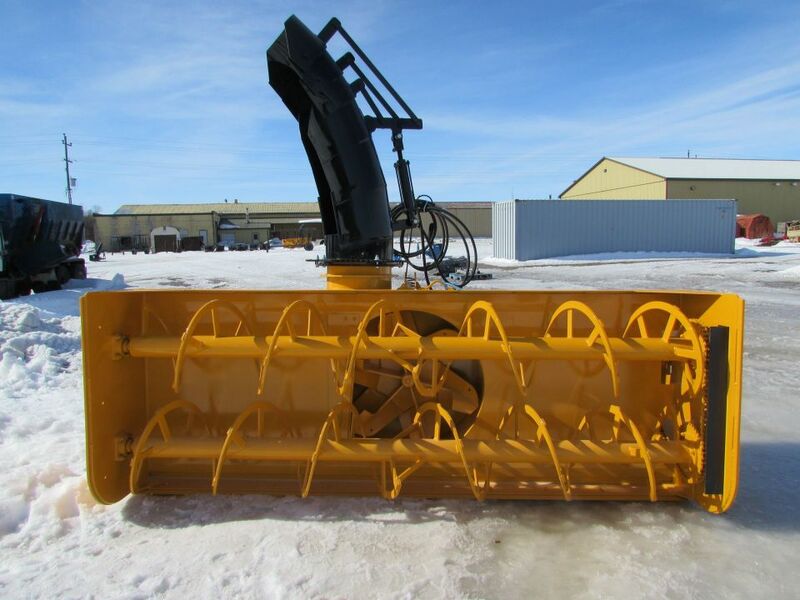 He has this to say "This snowblower never gives me problems and the company is amazing to work with for any service work needed. I would definitely buy another product from them and refer anyone I know to them as well."